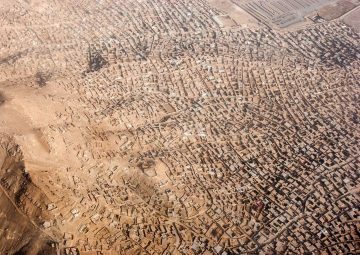 This Spring, the AA Gallery will host an exhibition by Amnesty International to showcase their investigation into the impact of conflict on civilians in Raqqa, Syria – the most destroyed city in the world. Related to the theme of this exhibition, AA Conversations is publishing a series of interviews with alumni who have challenged or dealt with the topics of urgency and conflict through their student work or in their current practice. Since graduating in 2005, Jan Willem Petersen established his independent research and design office, Specialist Operations. It supports governments, international organisations, such as the UN and local communities with spatial analysis, strategic planning and in-depth urban research. Jan’s work addresses topics of urban planning in conflict-affected environments, while leading an interdisciplinary team to develop strategies and shape processes for rebuilding. Recently Jan took part in the AA lecture series HOME: Questioning post-Brexit Relationships, around the theme of Exodus, to discuss the forces that trigger a mass departure from one’s homeland. View on the capital Kabul. How does a city transition from conflict to peace? How do you think studying at the AA has influenced your work/career? The distinctive culture at the AA has been instrumental in the way we conduct many projects. I think the exciting and arguably critical aspects of the AA is that it delivers an environment of perpetual insecurity and at the same time affirms a sense of certainty when undertaking projects, often in unchartered territories. To some extent, our current projects are born out of level of anxiety, ultimately fostering an inquisitiveness that characterises parts of the school. View on the existing Kabul on the left, and the expansion blueprint already imprinted on the desert right. For a city struggling to come to terms with its past, planning is an extremely complex task, perceived by its population as painfully slow-moving. Indeed, for many of the areas subjected to urbanisation, no governmental plans have been devised. The most obvious sign of post-war transformation is immense urban expansions. 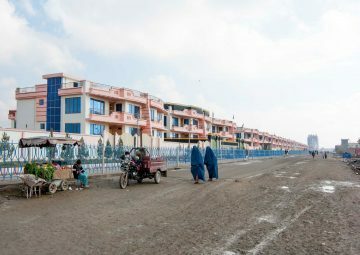 Kabul featured a growth rate of around 600%, resulting in large settlements creeping up the steep surrounding mountains. The 35,000 additional households annually present a significant challenge for well-established governments, let alone for the entirely new administration in a country plagued by conflict. What role does urgency/conflict play in shaping your practice? A substantial part the projects we undertake is self-initiated, directly responding to emerging spatial questions. 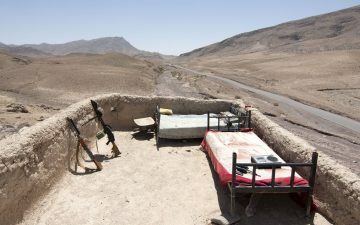 I think the challenges that emerge from the ongoing conflicts, for instance in Afghanistan and Iraq, are beyond the traditional scope of architecture, forcing us to devise alternative forms of engagement, collaborations, and redirecting the design contribution. Beyond addressing thematic urgencies, the architectural profession proves to be rather ill equipped to adapt to changing context, as can be witnessed in the total absence of the spatial discipline in the fall-out of the war on terror. Architecture education and the profession remains largely object and form making focussed, a currency that in today’s rapidly changing world is only deceptively relevant. Since graduating Diploma Unit 10, I have been fortunate to work on complex planning projects with incredibly bright and inspiring people like Matthijs Bouw, who heads the office One Architecture. It has influenced a distinct way of working where design, research and planning are comprehensively exploited to provide key actors with a thoughtful understanding of urban and spatial issues, and with it shape processes that define our cities. In the last ten years alone, across the country, more than 350 new townships have been constructed on land previously recognised as government property. These developments are also known as commander towns, given the social standing of people developing them. What role does the architect play in solving urgent problems? Like any urgent societal issue, architecture is highly political. I think in that sense we live in very interesting times. Architecture, as a profession, is inherently optimistic in nature. Even when it can be testing to be positive when standing in the field, experiencing the inhumane onslaught of conflict by the Islamic State, I believe there is a real duty. In a world where there is a strong tendency to search for easy answers to complex questions, there is an obligation to reflect constructively. Perhaps more than ever, it is critical to deliver and persuade with real content as to have an informed debate and discussion making, and counter fact free argumentation. At present, Kabul is playing a game of catch-up. The local municipality is developing legal instruments to help guide some of the forces currently acting independently in the city. 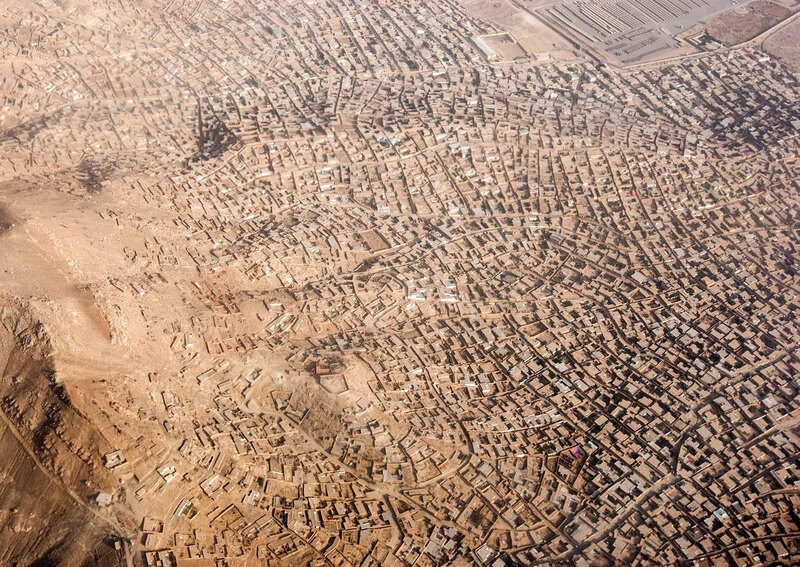 Thirteen years after the rebuilding of Afghanistan began, Kabul has yet to come up with a mode of urban planning that serves both its population and the city as a whole. The multibillion plan for a Kabul New City is at a standstill. At the centre of the proposed masterplan, one can witness the unfinished stretch of infrastructure, untouched for years. What topics do you consider to be of vital importance and urgency in contemporary architectural practice? I hardly think such can be captured as a topic. In fact, it can be quite dangerous and counterproductive to think along those lines. There is a curious balance between developing a profound expertise during the materialisation of projects – i.e. on the spatial footprint of international nation-building missions – and at the same time depart from such position and question acquired knowledge as to avoiding ready-made answers. The AA has always been a place where the development of attitude prevails any subject. It is where the role of architecture and what it can contribute are fundamentally questioned and redefined. 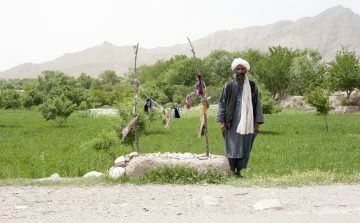 Field work assessment of the reconstruction projects conducted under the Dutch Task Force Uruzgan mission. This police post at the village of Sorgh Morghab is identical to a post south of Tarin Kowt. Due to a lack of visibility from the watchtowers, an improvised lookout post had to be realised. 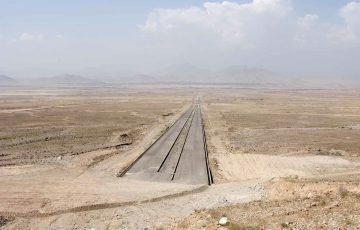 The geographical context – the post is situated at the foot of a hill – was not included in the implementation of the project. The use of generic blueprints for projects is widespread in nation-building missions. Be a collaborator. What we can see today is that, architecture’s greatest asset is not its ability to deliver buildings but an intrinsic capacity to move and engage between radically different cultures, each with their own value system, and to seek out pragmatic and exciting innovations. I think it is incredibly liberating, and necessary, to venture outside the realm of architecture and demonstrate a renewed relevance. Field work assessment of the reconstruction projects conducted under the Dutch Task Force Uruzgan mission. Traveling in an extremely challenging environment due to the constantly changing security situation can prove difficult. 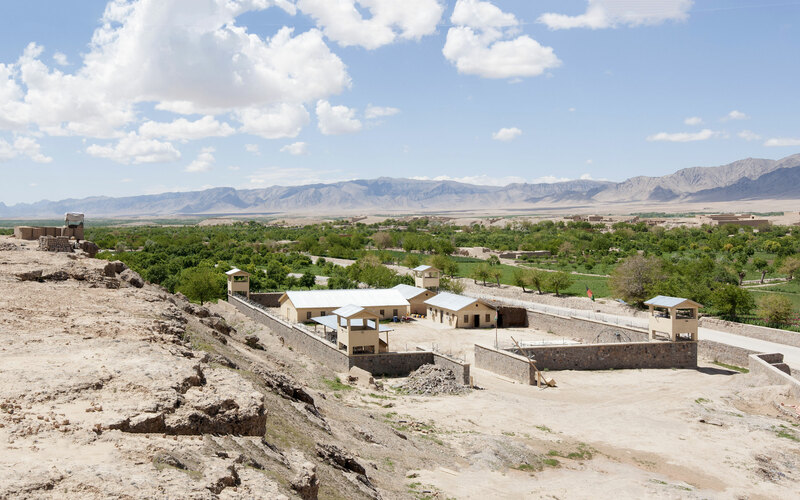 Immersion in the local context, being housed by the incredibly brave and hospitable Uruzgani proved invaluable in deriving at lessons learned.